Still looking for a Mother's Day gift to whip up for Mom? Don't forget that there's the "Loving You" Flower Pot available for FREE on my blog! It's quick and easy to whip up, and I have a video tutorial for those colorful puff stitch flowers too! 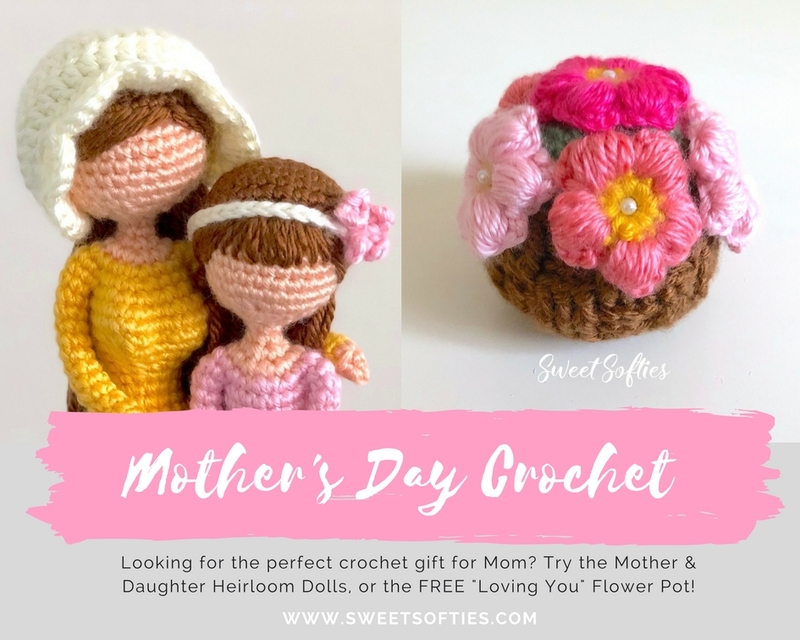 Or, if you'd like to try your hand at a more challenging pattern and are feeling ambitious as an intermediate-level (or higher) crocheter, there's the Mother & Daughter Dolls! This set of heirloom dolls can be crocheted today but treasured for decades, across generations. They're also currently on sale, so if you're planning to grab your copy, don't forget to take advantage of the discount code below for 25% off!